i'm relatively happy with my first box. the lip shine (halfway between a lip tint and lipstick) was in a sandy gold colour which isn't my thing at all so i've passed it on to my mum, and the lip balm and skin therapy oil aren't super exciting, but they're a decent size and i'm pretty pleased with the proactive cleanser and i love the cute little nail files. i also managed to get my hands on a bottle of gucci's flora and a gorgeous tokyo milk hand cream. they have such beautiful packaging, it completely sells you on a luxury product like this - there are so many options out there that the way a brand presents itself is a huge part of what makes me want to try it (one of the main reasons why i love soap & glory and benefit). it also just really adds to the pleasure that you get from using it, it makes you feel special and that's exactly what a luxury product should do. the hand cream is kabuki scent which is made up of lychee, sugared grapefruit, sweet jasmine and warm vanilla. I just love the photos that you take! You can turn everyday items into such pretty things! I would love to sign up for something like the Glossy Box, except I don't wear makeup... haha. So it might be a bit of a waste for me. But, how awesome is it to get a package in the mail every month? I came across TWO things like that that I wanted to sign up for (one was a tea club every month, and one was a box full of goodies every month when you get your period, haha. I thought that was an awesome idea. Here's the website: http://www.goodandlovely.com/index.php/) but they both only ship to the States... bummer, ha! I've only heard of that kind of service with baby products, but I'll have to check this one out. Awesome! Ohh, I actually never saw one of these. Looks fun indeed! And Flora by Gucci is such an nice scent! Beauty boxes have been all the craze lately! It's such a neat idea, but I think I have far too many holy grail products I love and use to be able to try and test out different products every month. Maybe if I knew it wouldn't create clutter in my room, I'd be more eager to try them out too! I think out of all of them, Glossybox looks the nicest. The packaging alone is gorgeous! These pictures are so pretty. I love the idea of Glossybox but I'm not enough into beauty products to get one every month! I tried the glossy box when it first came out in australia under the name beauty box but I gave up my subscription after 2 boxes as I kept getting samples I didn't use. The rebranding seems to be doing slightly better product-wise though but I'm still iffy about paying 15 bucks a month for things I may not use! I was wondering if order the glossybox. But I think I'll wait a while. 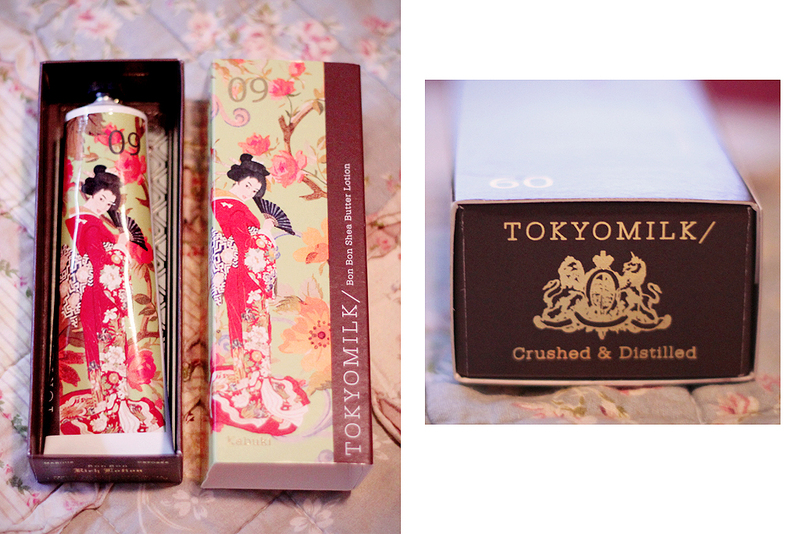 I'm so easily swayed by pretty packaging! I just bought some Estee Lauder foundation and the gorgeous blue and gold box was almost as exciting as the foundation itself. Reading this makes me want to subscribe to Glossy Box now! Such pretty little goodies :)!